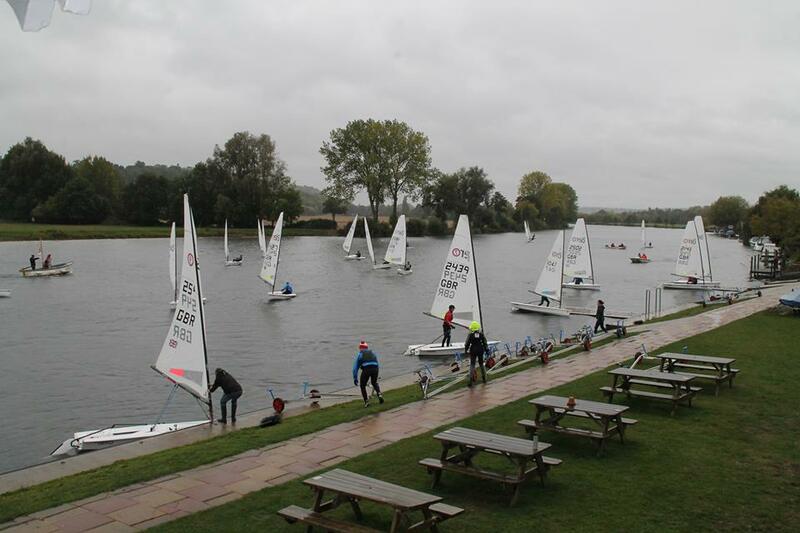 This year, the annual RS Aero UK River Championship was held at Upper Thames Sailing Club near Marlow. Competitors arrived at the club on the bank of the River Thames, looking out over the river at the cows wading on the opposite side. The river here was wider than the previous two RS Aero river champs, however the northerly wind direction was not favourable for the east-west running stretch of the river used by the club. The event featured 4 pursuit-style races, allowing for each of the fleets to have their own start and still easily work out where you finished. Two minutes between each start was approximately correct on PY for a 37 minute race. The grey day reduced the amount of water traffic we had to share the river with and the increasing breeze came swirling off the shore – a continual challenge in trying to keep the sail set and direction steered optimal. 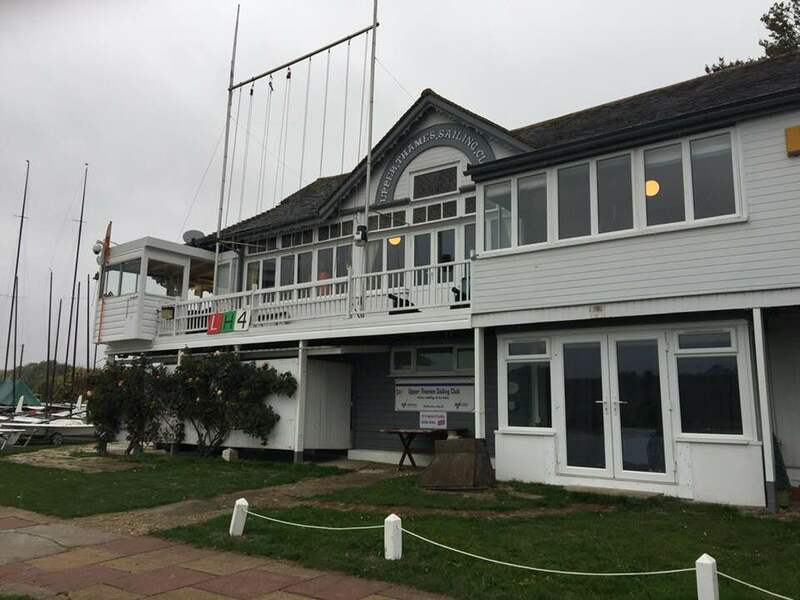 Race 1 started just off the clubhouse, allowing excellent viewing for the spectators as the boats jostled for position on the reaching start line. Alice Lucy (5) shot off the line on the first start, closely followed by the rest of the 5 fleet. The wind was very fluky and shifty, as can be expected when you are racing along a river with tall houses and trees lining the bank, and it was not long before the 7’s caught up with the majority of the 5 fleet. The wind died just as you reached the first bend in the river, making for challenging navigation on all of the laps. Peter Barton (9) caught up and overtook the rest of the competitors to finish 1st, ahead of Tim Hire (7) and Alan Markham (9). 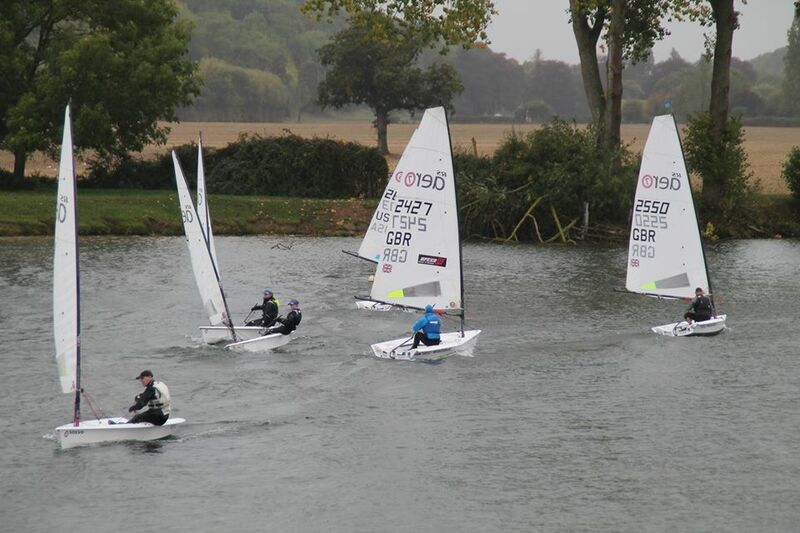 Race 2 started at the other end of the course allowing for more of a beat back down the river towards the club. Due to the frequently shifting winds and narrow confines of the river, places shifted fluidly between each of the fleets. Gareth Griffiths (7) shot away from the rest of the 7 fleet and went on to win the race ahead of Peter Barton (9) and an outstanding performance by Nigel Rolfe (7) to finish 3rd. After a delicious lunch cooked by the galley, the fleet set off somewhat heavier back down to the other end of the river ready for the start of Race 3. Gusts were randomly appearing all across the river so you had to be ever aware of the impending gusts which would soon hit you. Ollie Meadowcroft, closely followed by fellow 5 sailors Curtis McKay, Lily Barrett and Ned Stattersfield had very close racing at the front of the 5 fleet, however it was Andy Cooney (7), winner of the Broadwater Open, who went on to clinch the 3rd race just centimetres ahead of Tim Hire (7) with a last minute bid to win the race. We had all just about got used to the challenges of the venue by Race 4 and the RS Aero 5s were particularly hard to catch this time. Ulimately it was Peter Barton who came through at the very end for a well deserved last race win to decide the overall championship. A close tussle between Gareth Griffiths and Tim Hire saw 2nd place being decided on countback. The 1st RS Aero 5 from the excellent fleet of 8 entries was Ollie Meadowcroft from the home club and first Lady was Lily Barrett. The racing for the day was topped off by a generous sponsor who treated the whole fleet to cream tea, thank you! 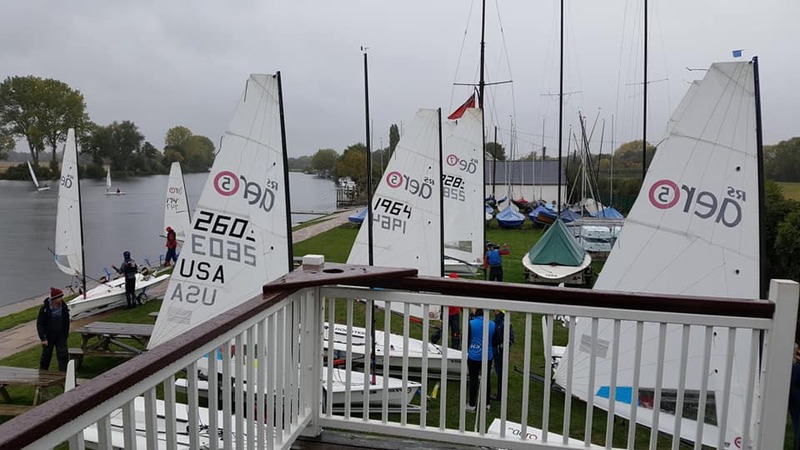 Thank you very much to Upper Thames Sailing Club for hosting a very successful day of racing, with special thanks going to the volunteers in the safety crew, A thrilling conclusion for the first year of the five event Thames Valley Mini Series and so fitting to conclude the series on the Thames itself!